Although colloidal silver products have some great benefits to it, there are some risks to be aware of as well. These concerns about it deal not only with the lack of support it gets from the FDA but also some severe skin conditions that can result if it is not used properly. It should also be noted that while there are various studies that have shown that this can be very useful it is important to watch for the dosing that is used. It should be noted first that the Food and Drug Administration does not fully support this treatment. Although this material is recognized by the FDA as a dietary supplement it is not something that can be marketed as something that can be used for the treatment of illnesses or any conditions. All groups that offer colloidal silver are required by the FDA to not state any therapeutic claims that can be used for colloidal silver. This is done as a means of following the Dietary Supplement Health and Education Act that the FDA has formed. Also, the FDA does not have any standards regarding the daily recommended value of silver that can be used in one’s diet. It is also important to be aware of the risks involved with the doses that are used. Many different colloidal silver solutions will be ones that have about thirty parts per million of silver or fifty parts per million in some cases. It will be very important to watch for the dosing that is used and to use a proper dosing schedule because this material can be harmful if excessive amounts of it are taken over a period of time. The third of these risks of colloidal silver to watch for is the risk of developing argyria. This condition is one that is caused by excessive consumption of it over time. The skin can begin to turn gray or blue in certain areas over time. This can be avoided if a proper schedule of using colloidal silver is used and that the right intervals between taking this medicine and not taking it are used. Another tip to use to avoid this risk is to use professionally made forms of colloidal silver that will have the right dosing amounts. Many cases of argyria occur when the colloidal silver is made at home. These risks of colloidal silver can be avoided if the right doses and scheduling of doses is used. Psoriasis is a common chronic skin condition that is not well understood outside the sphere of dermatology. It is a complex immune disease that manifests itself in the skin and joints. While psoriasis can present itself in many ways, three characteristic components of psoriasis lesions are erythematic (redness), indurations (thickness), and scale. The inciting event or aetiology for psoriasis is unknown, although, like many diseases, there is likely to be interplay between specific genetic and environmental factors. Psoriasis should not be thought of simply as a disease of the skin with little import on health. Psoriasis poses as much if not more of a threat to quality of life than other common major medical conditions. The lesions may be itchy and sore and may bleed. There are effects on every dimension of the patients’ quality of life, including home, social, and work facets. Patients with psoriasis are commonly depressed and thoughts of suicide are not uncommon in severe cases. Psoriasis of the palms, soles, or other areas critical to functioning may disable the patient. For treatment purposes, psoriasis patients generally fall into one of two categories: those with a localized disease; and those with a more severe or generalized disease. For localized psoriasis, patients are treated with topical agents. About 15% of patients with psoriasis have a severe disease; these patients receive ultraviolet, light therapy (phototherapy) or systemic drugs. Furthermore, concurrent inflammatory arthritis, or psoriatic arthritis, is present in greater than 30% of psoriatic and can be disabling and deforming. The presence of significant arthritis necessitates systemic treatment in order to prevent permanent loss of function. The traditional treatments for severe psoriasis are not ideal. Office phototherapy is very inconvenient, as patients need to come in for visits three to five times per week – a significant disruption to work schedules. Phototherapy increases the risk of skin cancer, and not all psoriasis patients respond to the light. Systemic treatments include methotrexate and cyclosporine, immune suppressants that are associated with liver and kidney toxicity respectively. Patients with severe psoriasis have been almost uniformly dissatisfied with their treatment. The past 10 years have been a time of unprecedented growth in the psoriasis arena. The knowledge base has been expanded as both underlying immune mechanisms are better understood, the impact of psoriasis on quality of life has been elucidated, and new treatments have become available. Still, no cure is yet available and there are somewhere between four and seven million people suffering from psoriasis in the US. An improved understanding of immune mechanisms has led to targeted biologic treatments for psoriasis. These medications include humanized antibodies, soluble cytokine receptors, and unique fusion proteins. They must be administered by injection, as proteins would be digested if taken orally. Because of the specificity of these agents for the immune system, they offer some safety advantages over current systemic agents that cause liver or kidney toxicity. They may have efficacy advantages as well. The first of the biologics approved to treat psoriasis is alefacept (Amevive). 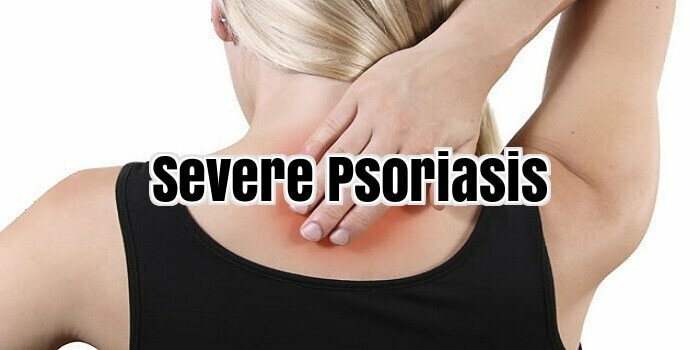 This drug targets the activated memory T cells that cause psoriasis inflammation. The second agent approved to treat psoriasis is efalizumab (Raptiva). It blocks the movement of immune cells trying to cause psoriasis. Etanercept (Enbrel), infliximab (Remicade), and adalimumab (Humira) are tumour necrosis factor alpha (TNF) inhibitors, FDA-approved for the treatment of rheumatoid arthritis. Of these, Enbrel is approved to treat psoriatic arthritis, but all biologics are likely to be effective for the skin lesions of psoriasis as well as joint disease. The development of these new agents represents the start of a new era in dermatology. Dermatologists are excited by the improvements they are seeing in truly debilitated patients who were previously resistant to all attempts at controlling their disease. Seeing patients with thick, red, scaling, cracking, bleeding lesions over much of their body suddenly clear with biologic treatment is extraordinarily gratifying for all involved. Patients with extensive disease, with or without joint involvement, may suddenly feel a new level of energy and life as the inflammation clears from their body. There are reports of practically bed-bound patients becoming ermatology active again after starting therapy with these new agents. Such treatment does not come cheap. The cost of bringing such biologic therapies to market is substantial, and these medications range in cost from approximately US$15,000 to US$30,000 per patient per year. This is considerably higher than for traditional treatments such as methotrexate (approximately US$2,000 a year) and phototherapy (US$3,000 a year). Nevertheless, these new biologic treatments are an important advance for those patients who fail traditional treatments, those who are not candidates for traditional treatments, and those who wish to avoid the risks and inconveniences of traditional approaches. Dermatologists are not unaware of the implications of high-cost treatments. As small business people who pay for the healthcare insurance of their employees, they are acutely aware of the rising cost of healthcare. As psoriasis affects about 2% of the population and 15% of psoriasis patients have a severe disease, treating these patients with a US$16,000-per-year drug would add about US$32 a year to everyone’s healthcare bill, and that is just for psoriasis. Perhaps surprisingly, prior authorization of biologics is not likely to be of much value, as it is unlikely that a dermatologist (generally a very conservative group of physicians) would prescribe a biologic treatment for a patient who does not need it. Onerous prior authorization requirements cause unnecessary frustration for physicians, cause patients to suffer needlessly, and create an environment of antagonism between healthcare providers and healthcare payers. If prior authorization is used at all, a rapid, simple determination of eligibility can be made based on the severity of the disease and the response to or suitability of alternative treatments. For those patients who truly need a biologic treatment, the cost is not unreasonable. Once the decision has been made to cover a biologic treatment, it is probably wise to give physicians the choice of the most effective agent, rather than limit that choice to products with an FDA-approved indication for psoriasis. No one benefits from patients receiving a less effective biologic treatment when a more effective treatment is available. If the insurer is going to cover a US$16,000 per year treatment, it does not benefit them to limit the choice to a less effective, FDA-approved treatment if there is a more effective agent available at similar cost, regardless of the FDA-approved indications of the latter. Healthcare systems do need to address the potential high costs of new psoriasis treatments. Psoriasis patients pay the same premium as other patients and deserve treatment for their severe disease. At the same time, healthcare systems should work to limit the biologic treatments to those patients who are appropriate candidates: patients with extensive psoriasis (greater than 5% to 10% body surface area affected) and those who are disabled by their disease (for example by painful palm or sole involvement or by facial or genital involvement unresponsive to topical treatment). Healthcare systems should encourage use of less expensive, safe, and effective therapies. As a first step, healthcare systems should eliminate impediments to lower cost traditional treatments. For example, phototherapy is quite effective for most severe psoriasis, yet healthcare systems have discouraged its use through low provider reimbursement and high co-pays required by subscribers. Many dermatologists stopped offering phototherapy, in part because of low compensation rates, but primarily because managed care systems discouraged patients from choosing these treatments patients who are required to pay US $10–30 co-pay for each phototherapy visit are generally dissuaded from this treatment. This exposes payers to substantially greater costs for biologic treatment. Phototherapy reimbursement rates should be increased to encourage more physicians to offer this treatment option to psoriasis patients. The phototherapy procedure and the number of visits required is more than enough of a deterrent to limit overuse by patients. Co-pays for phototherapy should be eliminated; indeed, it probably would make more sense for payers to encourage patients to undergo phototherapy by covering their out-of-pocket expenses in order to further reduce payers’ exposure to US$15–30,000/year biologic treatments. Moreover, patients treated with a course of office phototherapy may be able to maintain control of their disease nearly indefinitely with continued use of a home UV treatment device. At a one-time cost of US$2,000 for such a machine, these devices are a relative bargain maintenance therapy for psoriasis. Insurers (and the companies that contract with these insurers) should be grateful for the opportunity to cover the cost of these units given the alternative, yet, all too often, these devices are not covered by payers (or the contracting employer) who do not understand the implications of severe psoriasis and its treatment. Psoriasis is a serious disease requiring serious treatment. New biologic agents are a major advance for the subset of psoriasis patients with severe disease that cannot be safely managed with traditional treatments. At the same time, traditional treatments, particularly phototherapy, offer many patients a safe, effective, and cost-effective approach to control their disease. Payers can encourage use of these treatments, and such measures will help reduce overall exposure to high-cost medications while improving patients’ access to effective and safer options.